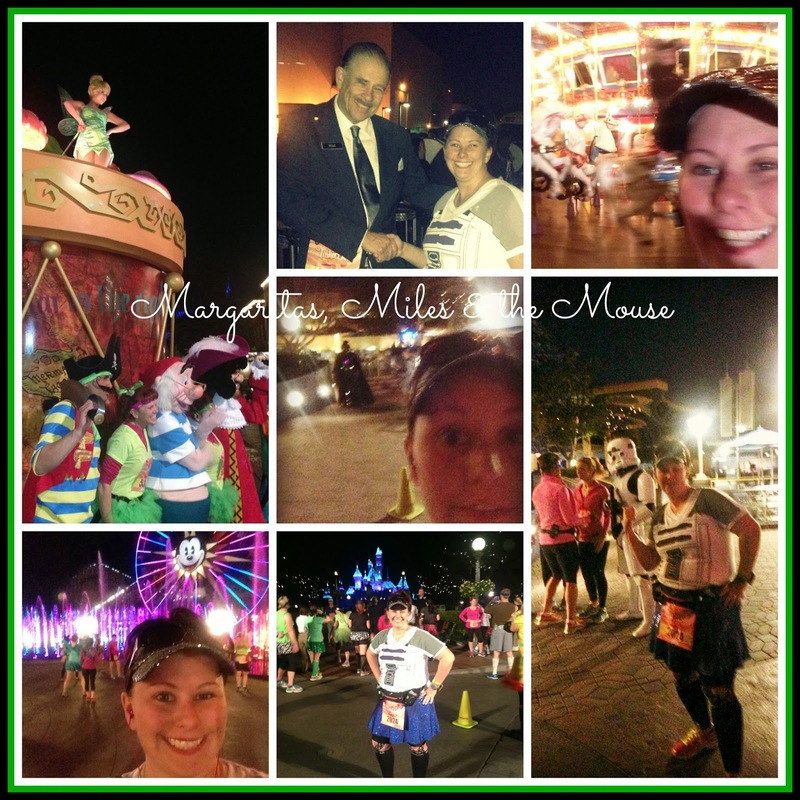 If you read my Tinker Bell 10K recap, you know I thought I found a new favorite runDisney race. Well, I spoke too soon. Tinker Bell is still my girl. The race began at 5am, something I fully support! As a mid to back of the pack finisher, it sure is nice to get half my race completed in the dark. No sun = less heat, and let’s face it, that makes a world of difference if you are running for 3+ hours! While standing in the corrals I had my usual concerns. I was not feeling it. Like, at all. Running was just not high on my to-do list that morning! As I was contemplating just how long and hard and horrible the next 13.1 miles were going to be, I remembered feeling this exact same way before the Disneyland Half in September. And that race ended up being really fun. Hot, but fun. Well, we were starting in 46 degree weather, so the hot part was taken care of! All that was left was to have some fun! DisBroad Tania and I went with a Star Wars theme. 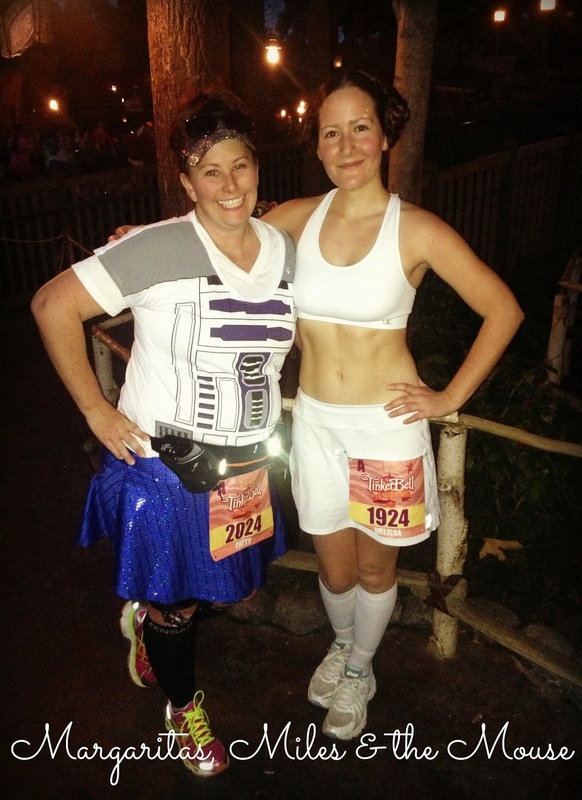 Thanks to your encouragement and votes, I ended up going as my favorite droid, R2D2. 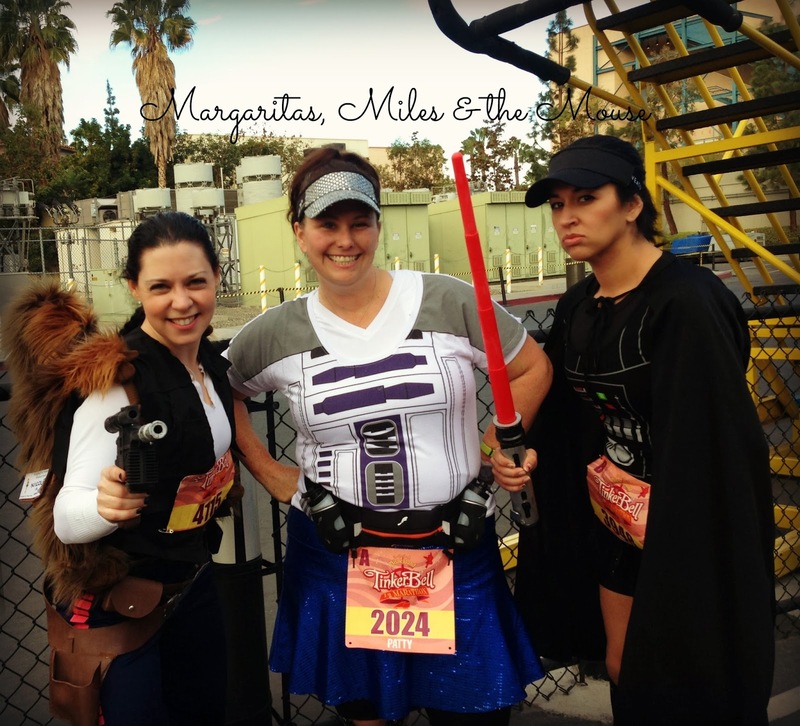 On the course I ran into a couple of runners also embracing the Star Wars theme. I think there’s quite a few of us hoping those rumors are true! My plan of attack was this: Just Do The Work. I decided after stopping and playing on the 10K course yesterday that I had enough fun pictures for one trip. The half was going to be just about moving forward. Didn’t have to be fast, just had to git er done! Yes- that meant NO picture stops. I know, shocking! Welllll… it mostly happened that way. C’mon, it’s Disneyland! Of course there were things I needed pictures of! But I didn’t stop in any lines, so that counts a bit, right? It didn’t take me long to realize the route was a bit different than last year. At first I was concerned about this, but in the end I loved the changes. I think it goes a long way to explaining my state of mind right now with all the moving hoopla going on: I normally study the courses and plot out pictures or potty stops. I was completely winging it this time! I did manage to snap a few pictures and tried to make do with some selfies. Selfies in the dark are really NOT a good idea. But here’s what I came up with! I still had a GREAT time even though I didn’t really stop for many pictures. On the way out of the park I found April and Amy in line for Captain Jack Sparrow. I was pretty proud of myself for 1- catching up to them (yeah, yeah, they stopped for a ton of pictures AND potties while I just kept moving!) and 2- for declining their invitation to jump in the picture with them. I had a plan, people, I was sticking to it! 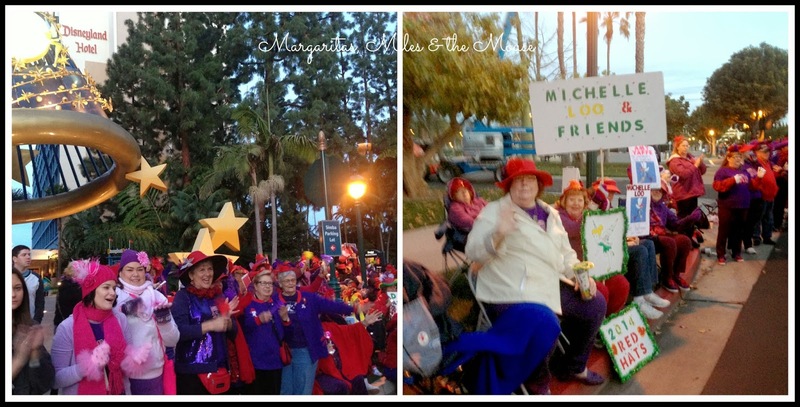 Outside of the park, we ran through the best part of the race: Downtown Disney and the Red Hat Society. 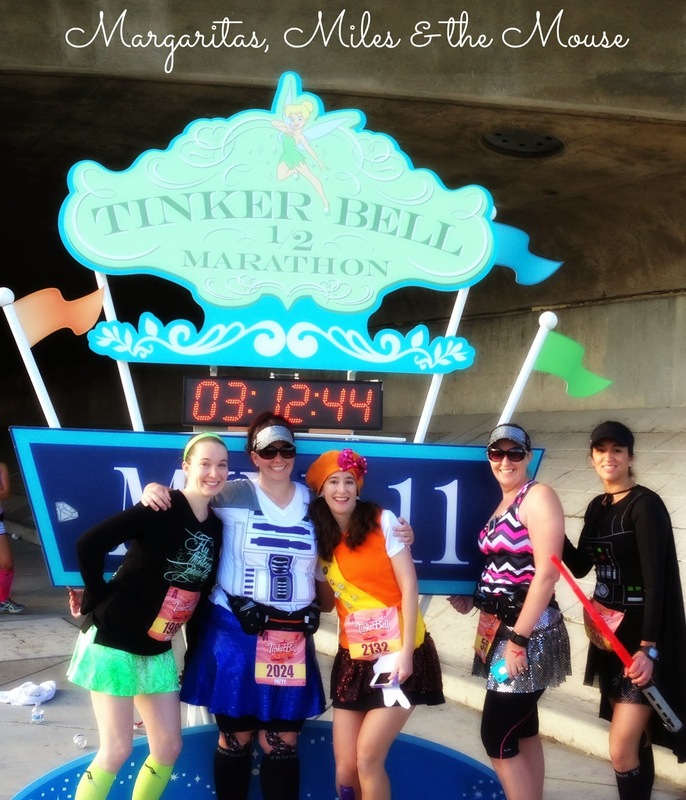 I love this part of the Tink Half! The signs along Downtown Disney are always awesome. These ladies choke me up every year! The excitement and the vitality they display at 6am is just astounding. I love them and hope they have cleared their calendar for Mother’s Day Morning 2015! It just won’t be Tink without those wonderful supporters on the course. We were soon hitting the 10K mat and I was shocked to see that while way behind my 10K PR pace, I was well ahead of ALL my friends. I mean, y’all, this NEVER happens. Yes, I am blogging it because it’s likely to never happen again. Annnndddd… it didn’t last. They were just playing in the parks while I kept moving. Once they hit the open road they caught up to me pretty quickly. Don’t you love how Tania stayed in character throughout the course? She cracks me up! After this we all took a vote to stay together. This is my usual “do or die” moment in the half. If I keep moving and keep my music on and my intervals steady, I do well. If I start to walk, well, I keep walking. It’s very hard for me to get back into the groove and commit to the intervals. But the 10K the day before, the pregnancy (DisBroad April, not me!) and an IT Band injury (DisBroad Tania, not me!) all added up to some slower than normal Broads. We decided to stay together and just take it slow. 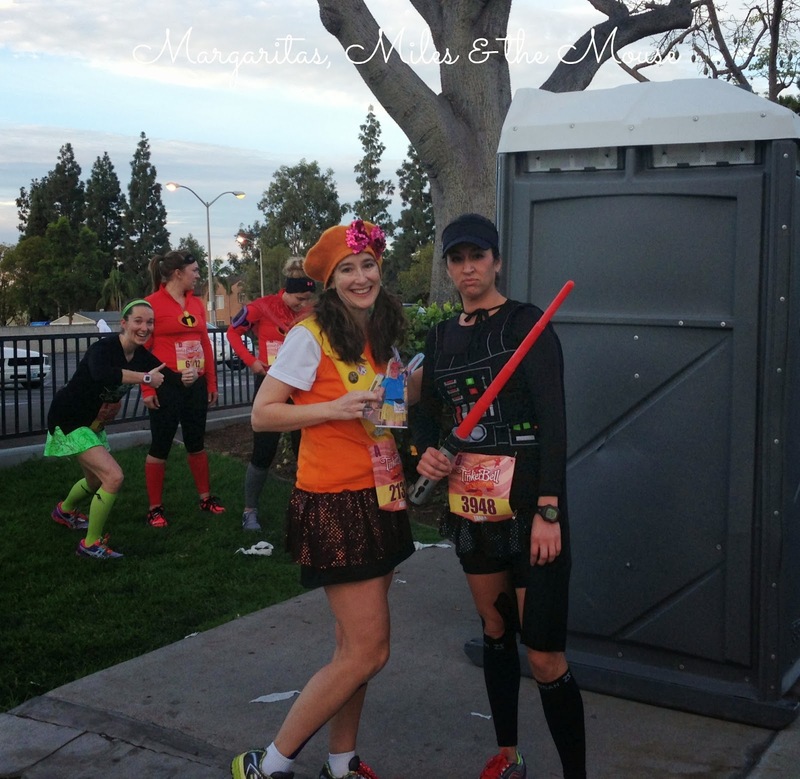 The rest of the race included another potty stop (NOT ME! ha ha ha) and a slow roll into the finish. We crossed together as ‘Ohana. Right after crossing we also witnessed a runner who needed medical attention. The incredible medical team swooped in and had him off the finish line in a matter of seconds. I heard later from a friend who worked the medical tent that he survived a major heart attack thanks to the quick work by the runDisney staff. 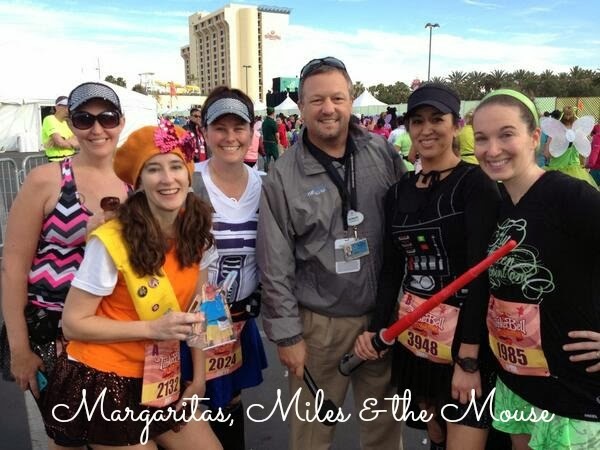 I share this story simply because while we all have “issues” with these races (some claim too many walkers, too many early morning starts, corrals messed up, changing dates of favorite races, expo snafus, etc) when it comes down to it, the important stuff is done well with runDisney! Like saving runners lives. Kinda puts things into perspective when you think about it. As we moved toward our medal pick up, we ran into Bob Hitchcock, one of head runDisney PR people and all around nice guy. We asked for a quick picture and his camera crew set us up right. I love it when professionals are willing to help out! Thanks for another amazing event, Bob and the entire runDisney staff! 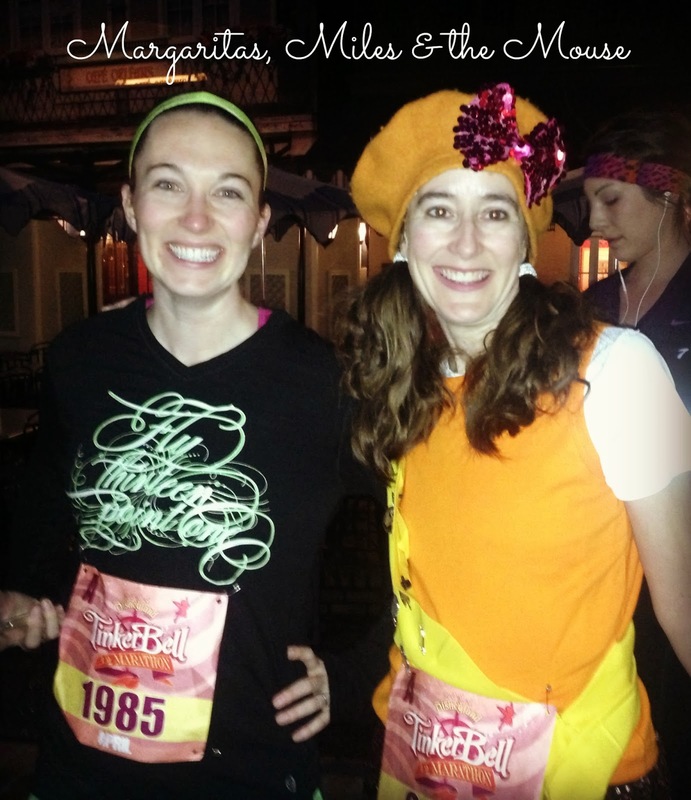 I ran this entire race with someone in my heart and on my mind who hasn’t been mentioned yet. My sweet and fantastic older sister was supposed to come this weekend and participate in her first runDisney half marathon. Due to some personal and health concerns, she wasn’t able to attend. I missed her very much! I hope we can run together again in the future but until that happens, each run I am able to do will be dedicated to her. Until she can run for herself, I’ll be running for her. I love you, sis. GET WELL and come to Disney with me! How was your race? 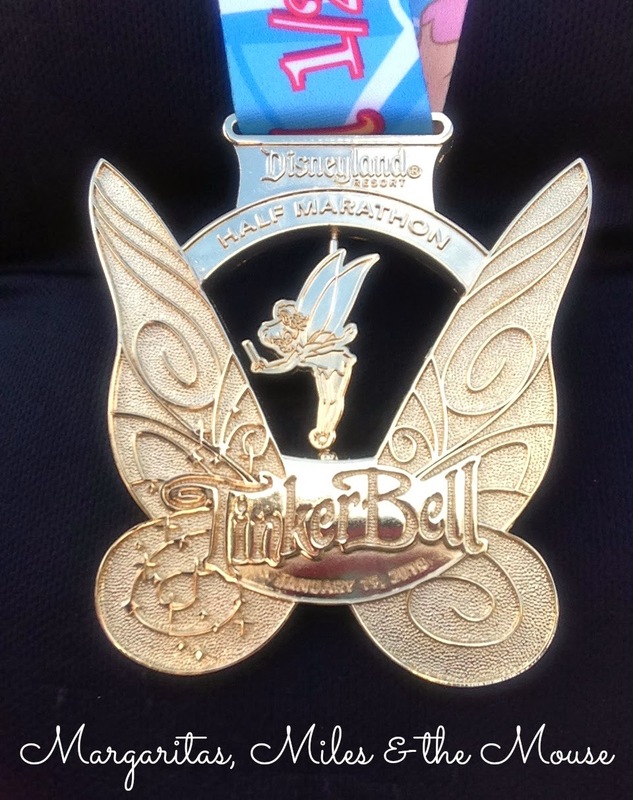 Is Tinker Bell on your runDisney bucket list?